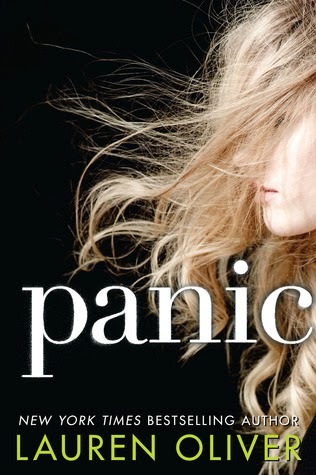 Goodreads: Panic began as so many things do in Carp, a dead-end town of 12,000 people in the middle of nowhere: because it was summer, and there was nothing else to do. Kritters Thoughts: High school seniors spending their last summer outdoing each other in a game that is survival of the fittest and the winner takes home some much needed cash! Being a stand alone and non dystopian, I was excited to read this YA book. Told through two perspectives, Heather and Dodge, they each set the stage for this small town in upstate New York where each senior has a reason to participate in this crazy game to get the cash to get out of town! I completely related to the small town feel. The characters really drove this book. It was easy to get to know each of them as they told their own stories and I appreciated where they were coming from and wanting more for their own lives. I enjoyed that they found hope in this crazy game and doing anything they can to survive it. The only thing that made me not completely fall in love with this book was towards the end of the middle part of the book, it seemed like it was dragging just a little; the pace took a nose dive and the game wasn't ramping up to the finale yet. Once over that hurdle, the finish was great and I couldn't put down the last 20 pages, but there was a lag that happened. Although there is a little violence and craziness involved with the game, I think that this is a perfect YA read for the true YA audience! Not a lot of romance, but some good teen angst! 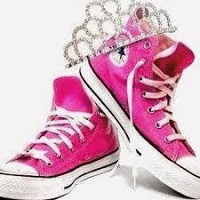 Love the tennis shoes with the tiara!